Q. My husband and I are completely new to cruising. How do we choose a stateroom or cabin? A. It might look as though there are a confusing number of cabin categories when you book a cruise, but there are generally only four types of stateroom on any ship. These are inside or outside, balcony and suites, and the choice is dependent on your budget and personal priorities. 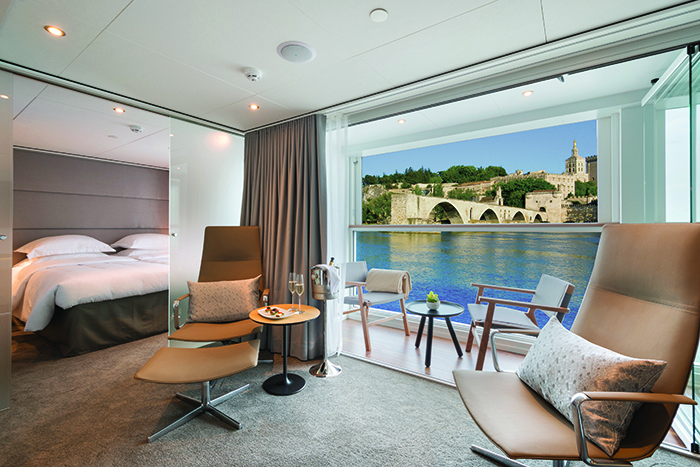 Do you envisage private time spent reading and relaxing on your balcony – or is there so much to do on board that you don’t see yourselves requiring much time in your cabin? If it’s the latter, inside staterooms are usually the smallest and most reasonably priced. They have no outside window, although there’s now a trend for ‘virtual views’, with varying images cleverly fed through to simulated windows. Outside (or ocean view) staterooms have a window (often a round porthole) and are usually a bit larger, while those with balconies have a small veranda so you can spend time outside without needing to be on a public deck. Suites offer the most generous accommodation and often have separate sleeping and living areas as well as extra perks such as a bigger veranda, afternoon canapés or concierge service. The location of your stateroom is also important, particularly if you have a tendency towards seasickness. New stabilising technology on the more modern ships has been revolutionary, but you should feel less sway and roll on a cruise ship if you are lower down and as central as possible. Staterooms at the very front (forward) or back (aft) of the ship will experience the most movement so choose a lower deck, mid-ship stateroom if you’re prone to motion sickness.